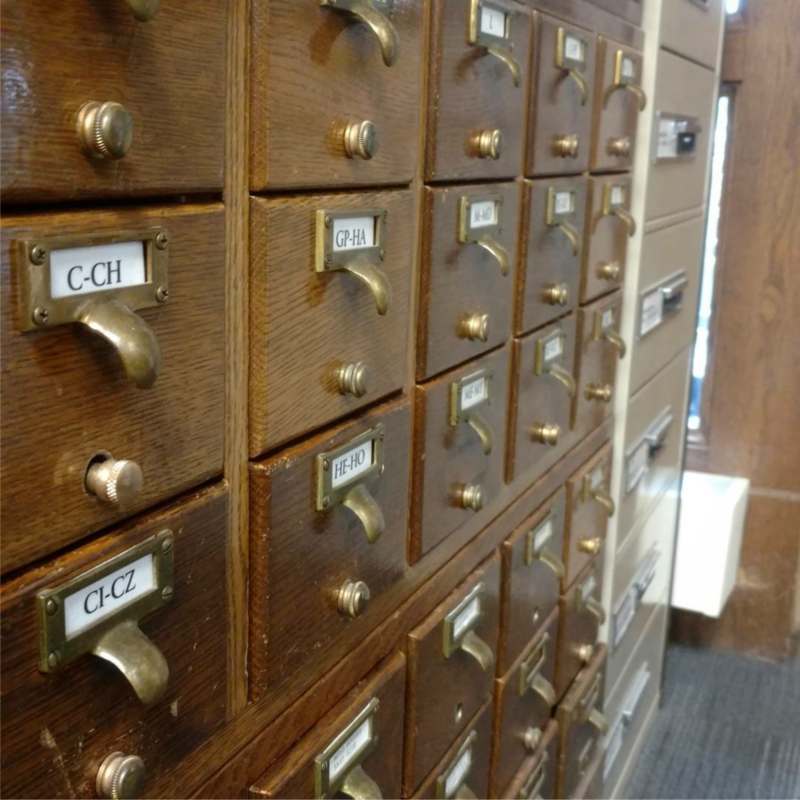 The local history collection at the Northfield Public Library includes books, atlases, plat maps, local high school yearbooks, scrapbooks, newspaper and census microfilm, clippings, family histories, telephone books, and more. The reference staff can look up articles or obituaries in the local newspaper and will respond to genealogical requests as time permits. Donations are accepted. Reference staff are not able to do in-depth genealogical research. Please contact the Northfield Historical Society [507-645-9268] or the Rice County Historical Society [507-332-2121] for the names of people who do research for a fee. HeritageQuest Online is available 24/7 with your Northfield Public Library card. HQ online provides access to the U.S. Census, Revolutionary War records, digitized images from over 28,000 family histories and other books. Ancestry Library Edition is available only within the Northfield Library. This database has over 1.5 billion names and includes records from the U.S. Census, military records, court, land, and probate records, vital and church records, directories, passenger lists and more. There is a computer dedicated for genealogical research and it is available on a first-come first-served basis. It is possible to print and email articles from this computer. The Dalby Database is a local resource for genealogy research. There is an excellent newspaper search feature which can be searched by a name or a generic term. There is also a robust cemetary and obituary search. For more tips on doing genealogical research please visit our library resource guide.